I love the philosophy at Facebook – move fast and break things. This is the mindset of the Facebook employees, engineers, and even CEO Mark Zuckerberg. Basically, innovation and product development never stops. You’re never “finished” with a project and new releases are always mandatory. In fact, Facebook wants new innovation pushed out the door so quickly that it’s a given that when “whatever” is released, it more than likely will be broken. The expectation isn’t that it will work, and work perfectly. It’s just the opposite in fact. If it’s working perfectly, if nothing needs to be changed or fixed, if there are no iterations to unfold, then it’s probably not worth anyone’s time to begin with. 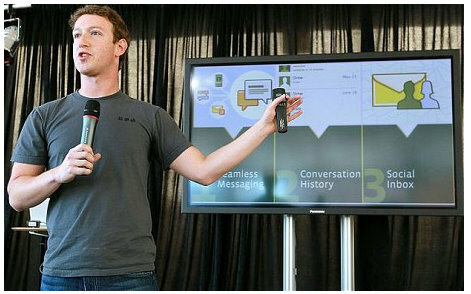 At Facebook, innovation is experimentation. Well they broke my wife’s account and she’s pissed. “…temporarily unavailable due to site maintenance and should be available again in a few hours…” — And its now 8 hours later with no other information. Facebook may be free, but the games she plays are not. And Facebook gets a cut of those $$$. Oh – and their support email server (zuckmail) — yes. Zuck as in Zuckerberg — is broken.